When you need accurate, reliable measurement along with robust construction, the industrial standard Trumeter 5000 Measuring Wheel is the professional’s choice. For many years the Trumeter 5000 road wheel has set the benchmark due to the rugged design and precision measuring technology. Utilising a traditional analogue display allows the surveyor the physically see the measurement, mechanically reset without the requirement of batteries. The analogue design allows distance to added when moved forward and taken off when reversed. 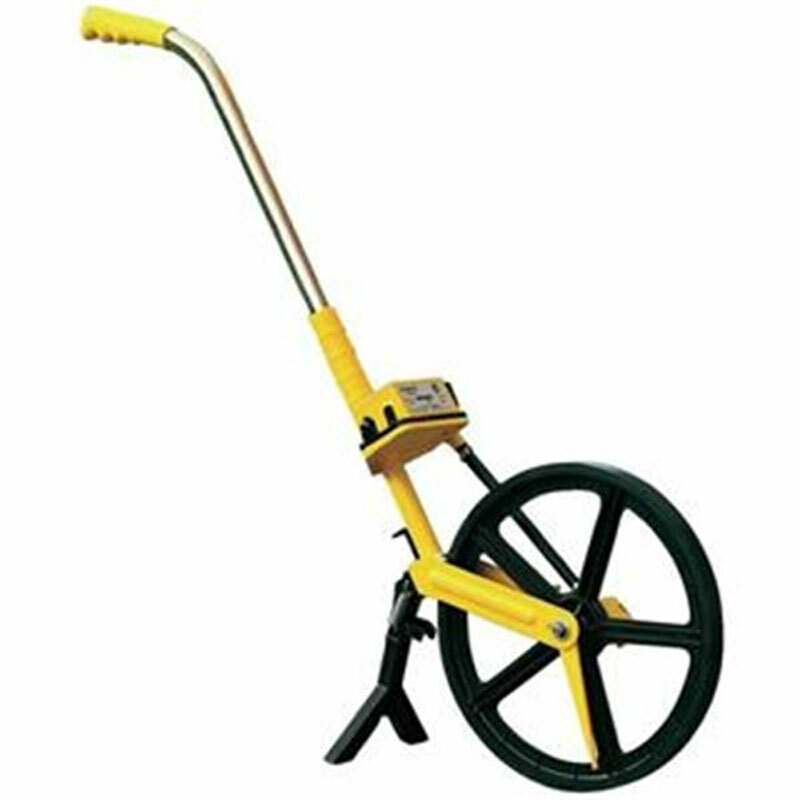 Superbly balanced and durable, this wheel comes with a mud scraper, folding handle and clip, folding stand and zero-set lever. Includes a tough nylon carry case for ease of transportation. Large easy to read display. Folding, locking handle for easy carriage. Adds forward subtracts in reverse. Approved by many Weights and Measures Authorities.